Windmill Manor is a purpose-built 60-bed dementia care home in Hurst Green, close to Oxted. We provide nursing and personalised residential dementia care in dedicated Memory Lane Communities. Our highly skilled team focus on delivering person-centred care that enables residents to keep their normal routines as much as possible while maintaining their independence. Our Memory Lane Communities are specifically designed for people living with dementia using colour schemes that easily enable residents to identify areas within the home. It features life skills kitchens, where residents can be involved in everyday activities such as baking, setting tables, folding washing and pottering. We also have a secure garden and balcony, where residents can enjoy outside space and activities in safety. 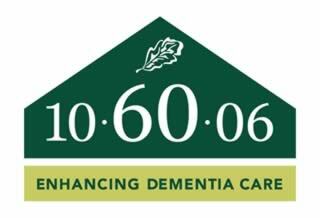 Windmill Manor was proudly one of the first homes to be accredited as part of Barchester’s 10-60-06 Dementia Care programme, reflecting the enhanced level of dementia care and improved quality of life experienced by residents here at Windmill Manor. Our activities team work hard to create a programme full of meaningful activities that residents can enjoy, including quizzes, exercise classes and day trips using our own minibus. In addition to this, residents have access to an on-site salon and a manicurist who visits regularly. Throughout the home there is a range of communal facilities to suit people who enjoy socialising as well as those who prefer quieter activities, perhaps on a one-to-one basis. We have also established connections with community groups and local schools who regularly visit the home to spend time with residents. We welcome visitors at any time and would love to show you what we have to offer here at Windmill Manor, so please feel free to call us or drop in! Windmill Manor provides person-centred nursing care for those living with dementia in our Memory Lane communities. We understand that each resident has individual needs that we need to tailor our care to, so our services are designed to provide the very best for each of them, based on their personal requirements, and to help them maintain as much independence as possible. This could include personal one-to-one time with staff members when needed, regular visits from a chiropodist or just adhering to special dietary requirements. Hi, my name is Lisaand I am the General Manager here at Windmill Manor. Welcome to our website! I have worked in the care sector for a number of years and enjoy making a difference to residents' lives. I enjoy working at Barchester and I am passionate about ensuring residents and staff are part of a happy home. I first joined the team at Windmill Manor in 2011 as a part-time Admin Assistant, only a few months after the home opened. I then spent two and a half years as the Administrator at another Barchester home, before returning to Windmill Manor in 2018. As the Administrator, I am responsible for all the financial and business administration at the home, working closely with the General Manager. I love the variety of my job and the interaction with residents and their families. Hi, my name is Sherry, and I have managed the activities team since July 2015. I am very passionate about my role and encourage each residents to join in with activities as much as possible. We provide a varied programme to ensure that the needs of each individual are met. I have worked at Windmill Manor since September 2017 as a Receptionist/Administrative Assistant. Before Windmill Manor, I worked as a receptionist for the NHS and for 17 years as a medical secretary in the private sector. My role here is varied and includes welcoming residents' families, friends and visitors, in addition to other administrative tasks as required by the management team and clinical staff. Before joining Barchester at Windmill Manor, I had a varied career in the hospitality and catering industry, from working as a Catering Manager for a competitor, to running my own public house/restaurant. I have been a chef for most of my working life and enjoy cooking very much. I find it rewarding to provide residents with nutritious and tasty meals.